When renowned genome scientist J. Craig Venter spoke at San Diego’s Connect’s Innovation Summit two months ago, he focused mostly on creating genetically engineered microbes that consume coal to produce natural gas. But a review of Venter’s recent presentations and other information suggests that Synthetic Genomics, the San Diego startup he co-founded, also has a major biofuels initiative underway, as well as other revolutionary projects. So when Venter said in April, “we’re not too far away from making an announcement to scale this up,” it’s possible he was just speaking generally about an industrial-scale project based on a synthetic organism, and not about the coal project in particular. Either way, such an announcement could represent the first time a synthetic organism created from transplanted genes moves from the research laboratory to an industrial-scale operation. “Over the next 20 years, synthetic genomics is going to become the standard for making anything,” Venter said in a 2007 article in NewScientist magazine. He says it will become possible to add different characteristics, to or take them away, from almost everything. In the future, Venter says one DNA-based species (human) will be able to sit down at a computer to create another. As a result, the first commercialization project that Synthetic Genomics undertakes with a major corporate partner may well involve algae that have been genetically engineered to produce biofuels. Synthetic Genomics’ team already has genetically optimized an algae species so that almost half of the organism’s mass consists of lipids, a broad group of naturally occurring molecules that include fats, waxes, sterols and other energy storage compounds. Now the team is enhancing the organism further to make even more lipids. Such algae would serve as a biofuel feedstock. Two years ago, Synthetic Genomics struck a long-term research and development deal with BP, the global energy conglomerate previously known as British Petroleum to develop cleaner energy production. BP has also been a strategic investor in Synthetic Genomics—even though Venter has stated that he wants the company to replace the petrochemical industry in ten years. Many aspects of Venter’s algae project seem fanciful. He has described a future where people produce their own biofuel in their backyards, a self-sufficiency scenario he sees as a major source of future fuel production. He envisions possibly millions of “algae micro refineries,” in neighborhoods throughout the United States and beyond. Genetically engineered algae needs sunlight and carbon dioxide, and then secretes a liquid that “can basically be used right away as biodiesel,” according to Venter. The only hardware needed would be stuff like sinks, filters, barrels and pipes. Privately-held Synthetic Genomics was founded in 2005 by Venter, who serves as chairman and CEO, Nobel Laureate Hamilton Smith, who serves as scientific director, and former General Counsel David Kiernan. Its board includes Biotechonomy CEO Juan Enriquez, Draper Fisher Jurvetson managing director Steve Jurvetson, Pulsar CEO Alfonso Romo, and Raydiance CEO Barry Schuler. In 2005 Draper Fisher Jurvetson provided $30 million in Series A round of venture funding. Last year it was reported they were in the process of raising another round, in the range of $100 million to $200 million. 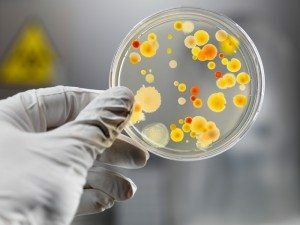 where to find the quote for synthetic genomics ?